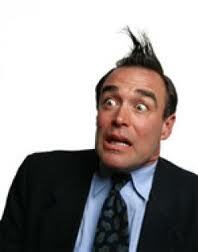 Panic Attacks in Men! 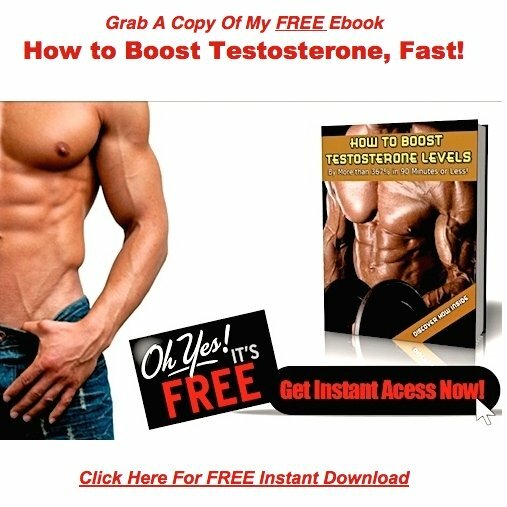 Testosterone, Serotonin, & Male Anxiety! My testosterone is reading 1.2 ng/ml while the minimum acceptable level is 3.0 ng/ml. I suffer from regular panic and anxiety attacks, depression and erectile dysfunction, plus low sperm count. What do you advise me to do to correct this situation quickly? Low T leads to things like apathy, lethargy, listlessness, and lack of motivation. Excessive stress causes the body to release cortisol and adrenaline, both of which interfere with the synthesis of the brain neurotransmitter, serotonin. Serotonin is the agent that gives you those warm feeling of calm, relaxation, and satisfaction. When levels drop too low, those vibes disappear, and are quickly replaced by feelings of fear, anxiety, and panic. Excessive use of alcohol or drugs, including caffeine. If you've ever experienced alcohol depression the day following a binge, you know exactly what low serotonin feels like. You've got Low T, but there's most likely many other things going on in your system. Well, you could start obsessive compulsive testing on all the hormones in your body, but that's a dead end street in my opinion. 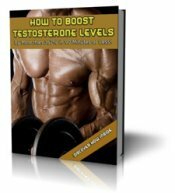 Testosterone is high in the morning, and lower later in the day. Estrogen levels fluctuate depending on what you've eaten, and how you've exercised on any given day. As evening approaches, serotonin levels drop as they are converted into melatonin to facilitate sleep. So, hormones are in a constant state of flux, and nailing down cold hard numbers on all of them is virtually impossible. Chances are good he'll take this inaccurate hormonal snapshot, and attempt to drug it into submission. But the drugs will only lead to further imbalances. Imbalances that can be lethal for those suffering panic attacks. Antidepressants which are commonly prescribed to treat panic disorders, double the risk of suicidal behavior in young adults. They also cause a whole host of negative side effects, that will only make your situation worse. You'll be much better off if you treat your body as a whole. Instead of focusing a specific number on a lab report, focus on your entire system. Bring it back into balance, and it will create the hormonal equilibrium you're looking for, automatically. The circadian rhythm, which helps regulate your body's internal clock, falls out of sync when you fail to get adequate sunlight exposure. This can have a negative impact on the brain chemicals serotonin, melatonin, and dopamine. Dr. Timo Partonen out of the the University of Helsinki's National Public Health Institute in Finland, did a study on sunlight and brain neurotransmitters. The amount of serotonin you have in your system during the winter is determined by your exposure to sunlight the previous summer. So, more sunlight exposure in the summer will increase your chances of preventing or reducing depression during the winter months ahead. Depressive symptoms were reduced almost 50 percent in persons who exercised in 30 minute sessions three to five times a week. Exercise also builds muscle and reduces body fat, resulting in increased testosterone production, and lower estrogen levels. Sleep and Male Hormone Production! Lack of sleep leads to imbalances and depletion of neurotransmitters in the brain. Sleep deprivation is where it all starts for most depressed people. From here on out, think of sleep as a filling up of your hormonal tank. Fail to hit the station every night, and your tank is going to be empty the following day. High quality sleep is absolutely critical for optimal hormone production and equilibrium. From here on out, make it a very priority in your life. Testosterone, Serotonin, & Male Anxiety! The steps above will take you a long way toward your goals. Comments for Panic Attacks in Men! Testosterone, Serotonin, & Male Anxiety! I agree with you since we all know that Low testosterone is really something that we should give importance for a guy.